Want to make a Texas-sized difference in a youngster's life? Do you enjoy barbecue, beer and country music? 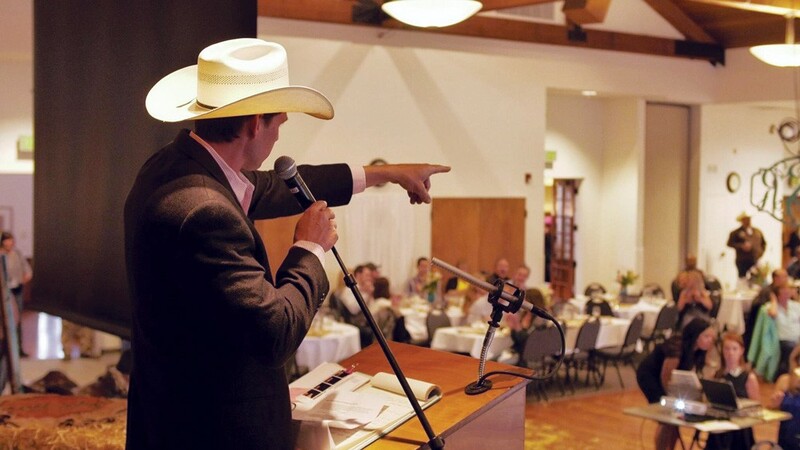 Then saddle up for the Silver Spurs Gala taking place Saturday, May 20 from 6 to 10 p.m. at the Fortuna River Lodge ($50, $40 advance). This evening of dinner and dancing benefits Wild Souls Ranch, a nonprofit organization that helps local at-risk youth by providing equine assisted growth and learning weekly at no cost to participating families. That's mighty nice. Shamus T Bones will be serving up a barbecue dinner of pork ribs, pulled pork sliders, brisket sliders, veggie burgers, spinach strawberry salad, Caesar salad and mashed potatoes. While you're gnawing on ribs, you'll be happy to know that your greenbacks are helping Wild Souls Ranch pay for feed, farrier, board and vet bills for its horses. Money raised from the last Silver Spurs Gala allowed the expansion needed to take on 20 more children to the program. Also mighty nice. Do your bidding at the live and silent auctions, and walk away with fine items and experiences donated by local businesses. There's music and dancing courtesy of Lone Star Junction, Humboldt's "outlaw country band," and a no-host bar featuring top hop juice from Lost Coast, Mad River and Eel River breweries, and wine from local wineries.